Geometry Flat and 3D Shapes, is a popular unit in our "Math Through Play" series. 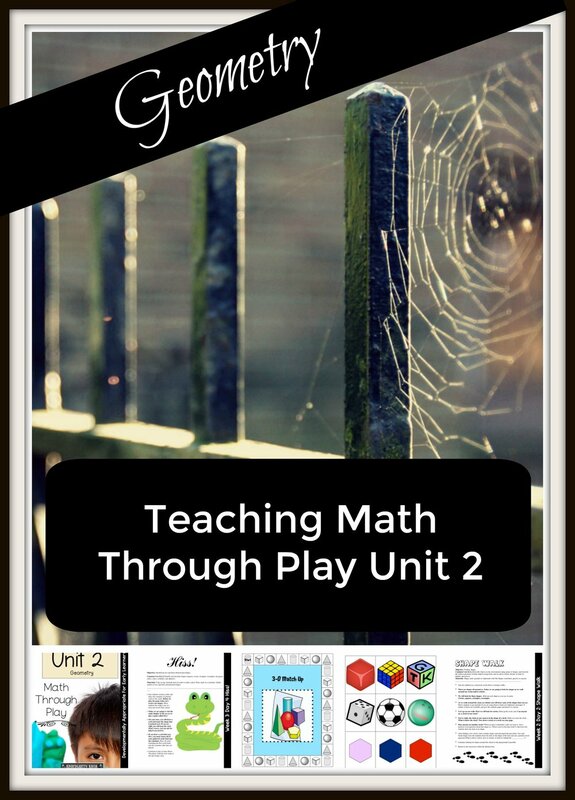 This math unit is developmentally appropriate and *classroom-tested for early learners. The lessons are geared for a typical Kindergarten classroom and can be easily adapted for Preschool, Transitional Kindergarten, or any Homeschool setting. As a bonus, many of the lessons are scripted to allow for easy lesson delivery without a lot of preparation, and also, it can be easily handed to a teaching assistant or a parent volunteer with confidence that the lesson objective and content will be delivered! * The table of contents are clearly outlined to make lesson preparation a breeze. * The unit includes extras such as delivering number talks, number songs, adding play to the math curriculum, as well as ideas of how to use the calendar and manipulatives in your math routine. * Each week includes four or five lessons to build knowledge and experience in mathematical knowledge. Each lesson is linked to Common Core standards! These lessons can be delivered to the whole group, or easily used as small group lessons.